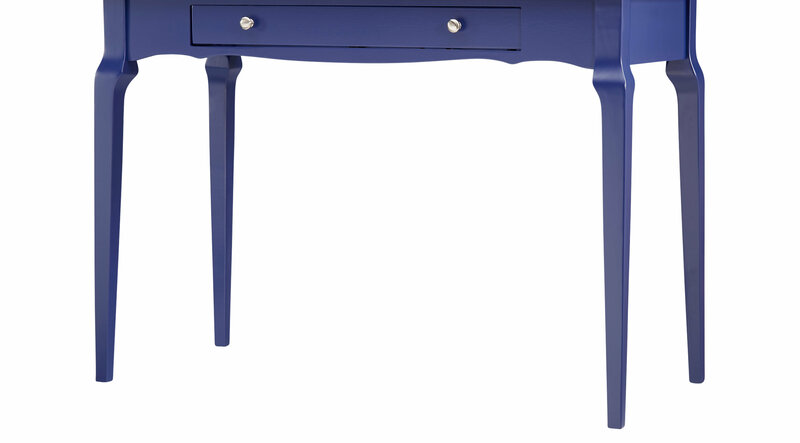 Energize your office space with the Tullia navy desk. With elegantly tappered legs and brass finished hardware, this desk illuminates the smallest of rooms while using minimal space. Store your office items in the spacious front drawer. Featuring solid woods for durability, the Tullia desk will be a vibrant addition to your workspace or home.